There are only so many pleasures in life, one being the joy of finding the right tool. A tool needs to be affordable, yet finding the best reciprocating saw for the money can be a little hard, especially with the number of choices out there. There are several things to consider like the type of job that needs to be completed and the kind of material that will be cut. The following are three effective reciprocating saws that might work for you. The Milwaukee Super Sawzall is an effective saw that is easy to use, which should be helpful for newbies and experienced individuals. Of course, like other Milwaukee products, it was proudly manufactured in the United States. It comes with a 15.0 amp motor paired with an overload protection, making it resist a premature burn out should the blade ever lock-up. This function is also aided by the machine’s patented gear-protecting clutch. The high-powered machine provides constant speed to help ensure a smooth cut. Now, it does come with a one and one-fourth inch stroke, which should work for deep cuts, but the storage compartment does not leave much room for additional blades. It should be noted that its ability to quieten vibration is not great. This reciprocating saw comes with a 15.0 amp motor and an electronic speed control, which helps maintain a constant speed. This machine is also equipped with a built-in clutch that reduces any gear damage should the blade become stuck. The saw has four different cutting styles; some are orbital while others are straight. The blade’s stroke is one and one-fourth inches long. The designers did take comfort into consideration since its rubberized grip was ergonomically placed. The machine also comes with a built-in lock-on button so that the user does not have to press down on the trigger. Its effective anti-vibration technology is based on counterbalance, and it works well. One of the major setbacks of the machine is that it is a little heavy, especially for casual users. Due to the weight, it might be hard to work long hours or maintain precision. This saw is not as powerful as the others. It has 11 amps, and the saw is a lot smaller than others. The size makes it a lot easier to carry around and work with. It also does not weigh as much as other reciprocating saws. The blade’s stroke is one and one-eight inches, which should work for various projects. It has a keyless blade chuck system, meaning that you don’t have to worry about misplacing the blade. One particular aspect of this saw that some find very useful and unique is its LED cutting zone lights, which helps guide the blade in the right direction. This is especially helpful in dark areas or when visibility might be compromised. It does come with 10 blades that include: three blades made for wood-cutting, four for metal-cutting, and three for nail-embedded wood. The saw does not come with the technology to protect it against blade lock-up, which could hurt the saw’s durability. The only aspect of the saw that attempts to lessen vibration is the grip, meaning that precision will be hard to achieve if at all possible. Which Reciprocating Saw Should You Choose? These are just some of the options available, but choosing the best one out of these three could still seem a little difficult. The one thing you should consider when it comes to a reciprocating saw is versatility. This means getting a saw that can adapt to any situation without too much trouble. The Bosch saw is simply too small for some projects and its precision is lacking. 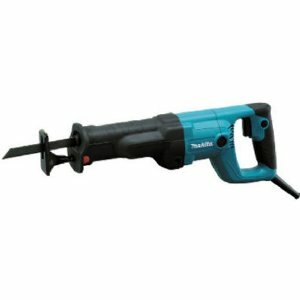 The Makita is definitely a step above many other saws, but its weight makes it a little bulky and hard to control. 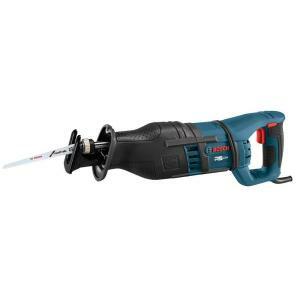 Of course, those who continuously work with heavy materials might do well with the Makita saw. 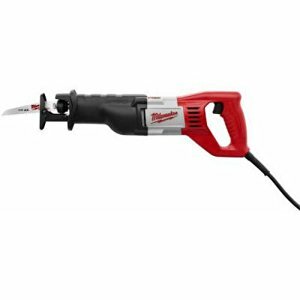 This means that the Milwaukee Super Sawzall seems to be the most versatile saw. It provides precision without much work, and it is also easy to handle. The blade can cut through any material, making it effective for both the casual user and the frequent user.